EU REFERENDUM – ARE YOU REGISTERED TO VOTE? The referendum on the United Kingdom’s membership of the European Union (EU) will be held on Thursday 23 June 2016. If you’re not already on the Electoral Register, you must register by Tuesday 7 June 2016. 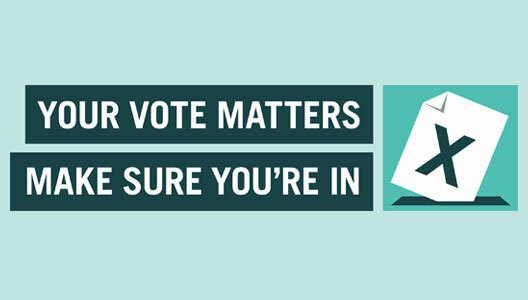 The quickest and easiest way to register is online at www.gov.uk/register-to-vote and you will need to have your National Insurance (NI) number to hand and know your full date of birth. If you’re unable to vote in person on the day, the deadline for applying for a postal vote is 5pm on Wednesday 8 June. Applications for proxy votes need to be received by 5pm on Wednesday 15 June. Visit www.woking.gov.uk/elections2016 to download an application form.